February 1, 2018 – Construction has officially begun on the spaceship that will achieve America’s goal of returning astronauts to the Moon. 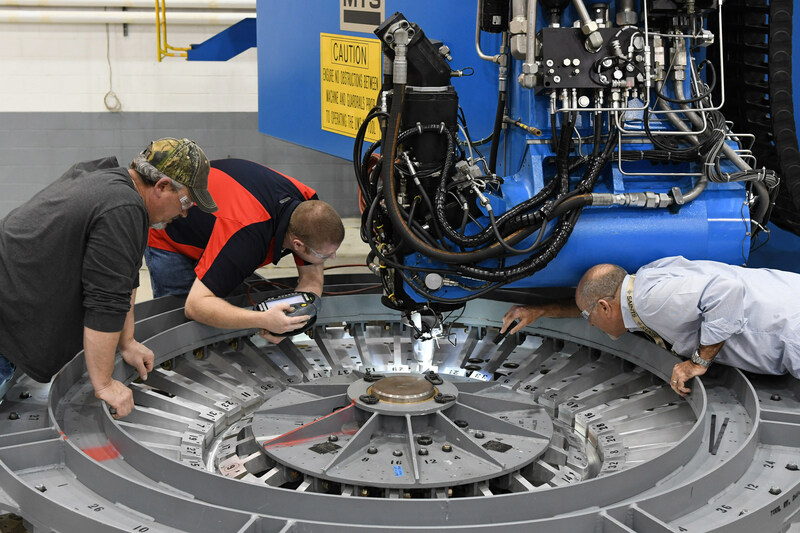 Lockheed Martin technicians and engineers at the NASA Michoud Assembly Facility near New Orleans welded together the first two components of the Orion crew module capsule for Exploration Mission-2 (EM-2). Orion is America’s exploration spaceship, and the EM-2 mission will be its first flight with astronauts on board, taking them farther into the solar system than ever before. This flight, launched atop the Space Launch System (SLS) rocket, will usher in a new era of space exploration, laying the groundwork for NASA’s lunar Deep Space Gateway, and ultimately for human missions to Mars. Designed specifically to withstand the harsh and demanding environment of deep space travel while keeping the crew safe and productive, the main structure of the crew module, or pressure vessel, is comprised of seven large machined aluminum alloy pieces that are welded together to produce a strong, yet light-weight, air-tight capsule. The first weld joined the forward bulkhead with the tunnel section to create the top of the spacecraft. The pressure vessel capsule will continue to be built out over the spring and summer in Michoud incorporating the three cone panels, the large barrel and the aft bulkhead. Once completed in September, it will be shipped to the Kennedy Space Center where the Lockheed Martin team will perform assembly and test of the EM-2 spacecraft. “The EM-1 and EM-2 crew modules are very similar in design, but we’ve made a lot of improvements since we built EM-1, including processes, scheduling, and supply chain, all contributing to a lower cost and faster manufacturing,” said Paul Anderson, director of Orion EM-2 production at Lockheed Martin.